What's 'the most beautiful place' in Louisiana? Condé Nast Traveler highlighted one place from each of the 50 states in May with its list "The Most Beautiful Place in Every U.S. State." 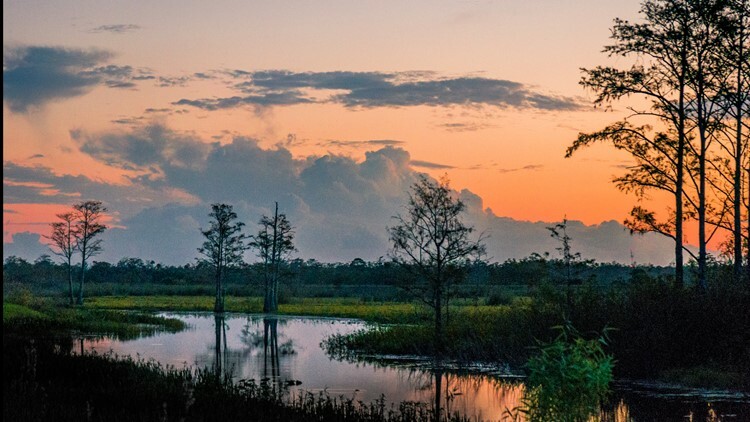 Louisiana is known for the beauty and diversity of its natural scenery, and one part of the Sportsman's Paradise made a luxury travel magazine's list of the most beautiful places in every state. Under Louisiana you'll find a photo of the the Atchafalaya Basin, the country's largest wetland and swamp. It's located in the south central part of the state where the Atchafalaya River and the Gulf of Mexico meet. Many have crossed it by car traveling over one of the state's longer bridges, but its views are better seen from a kayak or airboat. The Basin starts near Simmesport and runs 140 miles southward to the Gulf of Mexico. It contains almost one million acres of bottomland hardwoods, swamps, bayous and backwater lakes, according to the Atchafalaya National Heritage Area website. So there's plenty to do and see. That's why Ashley Herrick, assistant director of the Atchafalaya National Heritage Area, has called it a great place for families to visit. "You can do lots of different activities — fishing, swamp boat tours, paddling, kayaking or canoeing," Herrick said in 2017. Visitors can stop at the Atchafalaya Welcome Center for coffee, directions and more information in the most interactive way. There's a four-and-a-half minute video, an animatronic exhibit of swamp animal life and larger-than-life screens displaying photos of the Basin. You'll know you're there by the pirogue on the back deck full of crab traps and the bronze statues of alligators and turtles "creeping" along the grass. Condé Nast Traveler is a luxury and lifestyle travel magazine published by Condé Nast. The writer doesn't seem to think the Atchafalaya is Louisiana's only beautiful place worth visiting. She says the list "only begins to scrape the surface of what this country has to offer — so consider it your starting point, and start exploring."